There’s an old adage cited by managers and coaches that comes to mind as the B. League regular season winds down. “You want to be playing your best ball at the end of the season,” they say. Well, with five games remaining before the eight-team playoffs gets underway, there are a quintet of teams that are doing just that — or a close facsimile of their absolute best. 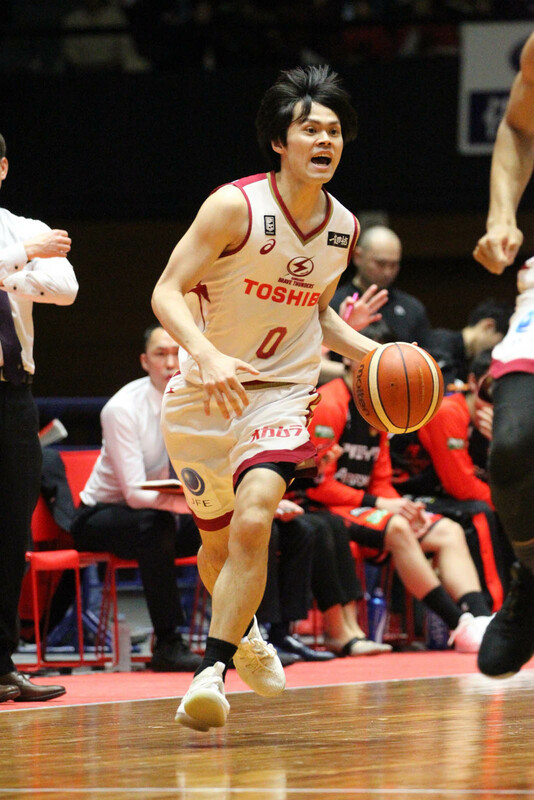 The title-chasing Chiba Jets Funabashi, defending champion Alvark Tokyo and Kawasaki Brave Thunders (38-18) all enter the season’s penultimate weekend with 9-1 records in their past 10 games. 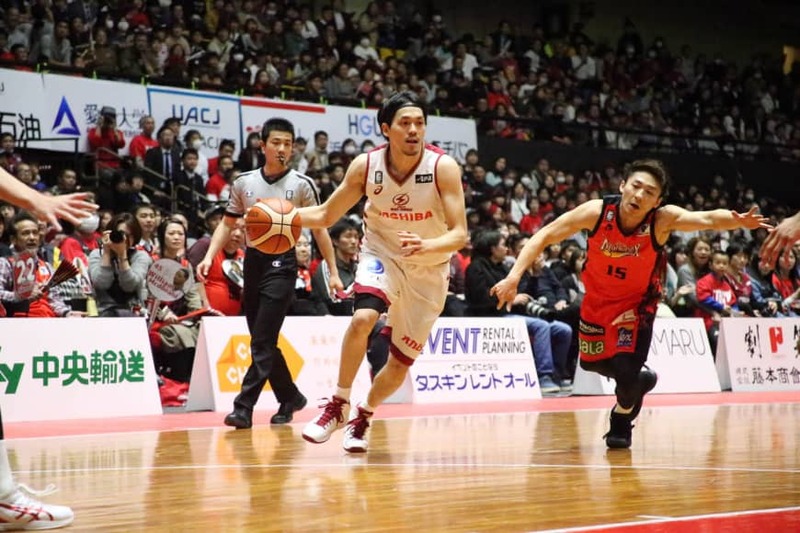 In addition, the Central Division-leading Niigata Albirex BB (41-15) and West penthouse-dwelling Ryukyu Golden Kings (37-19) have each won eight of their past 10 games. Based on current records, the Nagoya Diamond Dolphins (30-26) appear to have the best shot at securing a playoff berth. Before Wednesday’s 75-68 setback to the Golden Kings in Okinawa City, Nagoya had won four in a row. The Kyoto Hannaryz (29-27), on the other hand, have struggled during a key stretch of the season. Coach Honoo Hamaguchi’s team has won only three of its last 10 games, including three straight losses. Also in the hunt are the SeaHorses Mikawa (29-27) and Toyama Grouses (28-28), both of whom are 5-5 in their past 10 contests. And the Sunrockers Shibuya (27-29) still have an outside shot at reaching the playoffs. 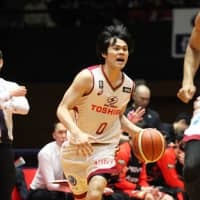 They have collected six victories in their past 10 games, and look to rebound from Wednesday’s 81-73 defeat to the Alvark in Tachikawa. The action resumes on Friday with Yokohama’s series opener against Toyama. Coach Tom Wisman’s B-Corsairs are aiming to end a nine-game slide. 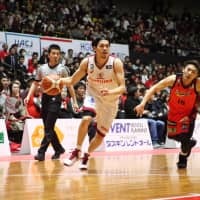 On Saturday, the rest of the weekend’s openers tip off: Akita vs. Hokkaido, Mikawa vs. San-en, Chiba vs. Tokyo, Nagoya vs. Shiga, Shibuya vs. Tochigi, Kawasaki vs. Niigata, Kyoto vs. Fukuoka and Osaka vs. Ryukyu. One epic streak will end on Saturday. Entering their series opener, the Northern Happinets (15-41) and Levanga (10-46) have dropped a combined 29 straight games, with the latter stringing together 18 consecutive defeats. A difficult season on the court isn’t the only major challenge the Rizing Zephyr Fukuoka are facing. Coach Bob Nash’s team, seeking to halt its 11-game losing streak on Saturday, won’t be issued a B1 license for next season due to its shaky financial status. Furthermore, a demotion to the second division a year after earning promotion isn’t a sure thing, either. The team’s B2 license is pending. A league-imposed deadline has been set for April 29 for the organization to have ¥180 million in capital in order to obtain the license, which is a requirement each season to participate in the league. Team president Yasunori Kanda acknowledged the seriousness of the economic crisis during a Tuesday news conference.